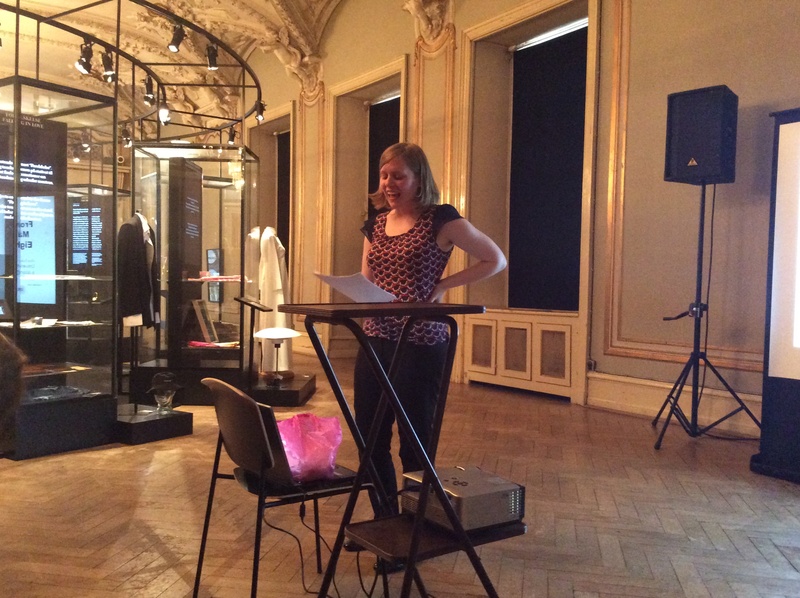 A few weeks ago we organised with our Ph.D. student Vivi Lena Andersen the second workshop associated with my early modern textile and clothing research programme, Costume, Clothing, Consumption and Culture (CCCC), run between the Centre for Textile Research and the National Museum of Denmark. 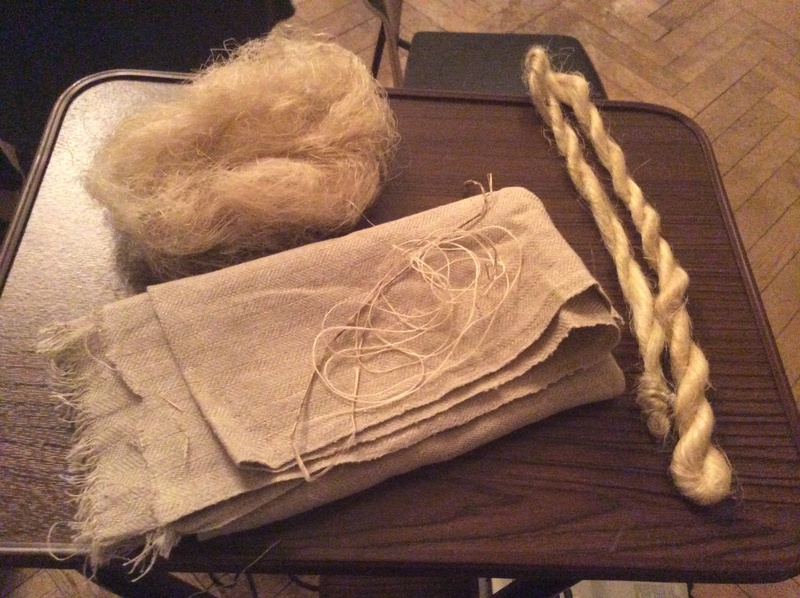 The workshop was titled ‘The materiality of textiles and clothing – under the surface’. Together with Ph.D. students, museum curators, conservators and a large network of scholars from art, economic and cultural history and archaeology from the Centre for Textile Research, the National Museum and Designmuseum of Denmark, University of Helsinki, University of Delhi, University of Hertfordshire, and European University in Florence, we spent two days at looking and discussing textiles and objects in museum collections, conservation departments and archaeological study rooms. 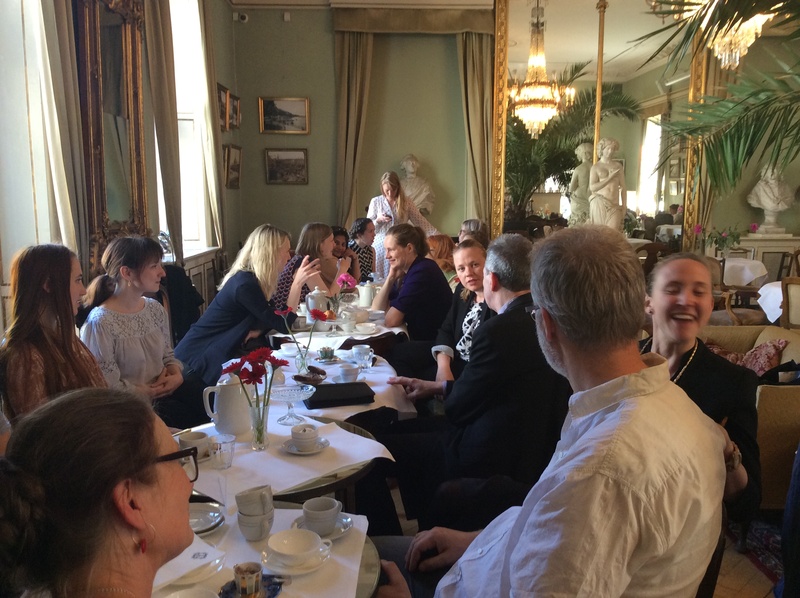 One of the aims was to think about how we can create meaningful multidisciplinary methods and approaches to the historical study of textiles, clothing and fashion. Our keynote speaker was Professor John Styles. Here we are! 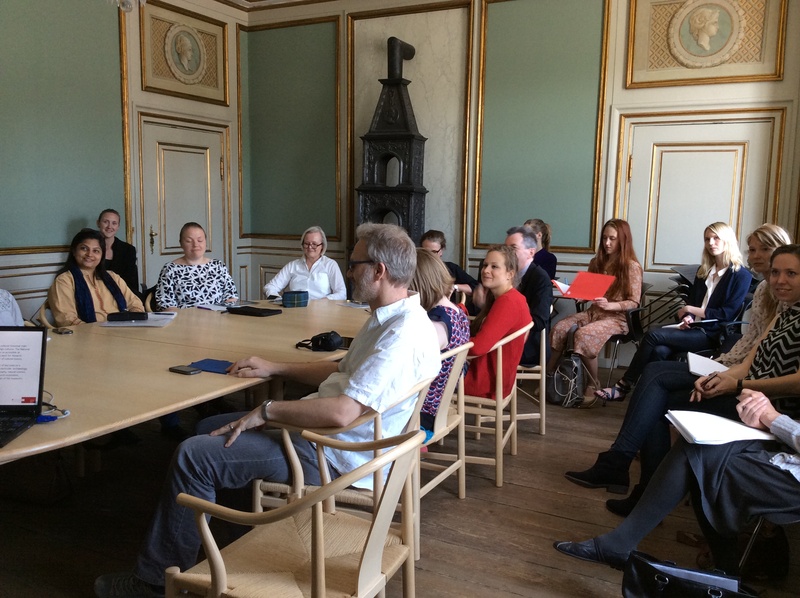 We started the workshop at the National Museum in Copenhagen, where we looked at the Renaissance exhibition with the textile conservator Maj Ringgaard. 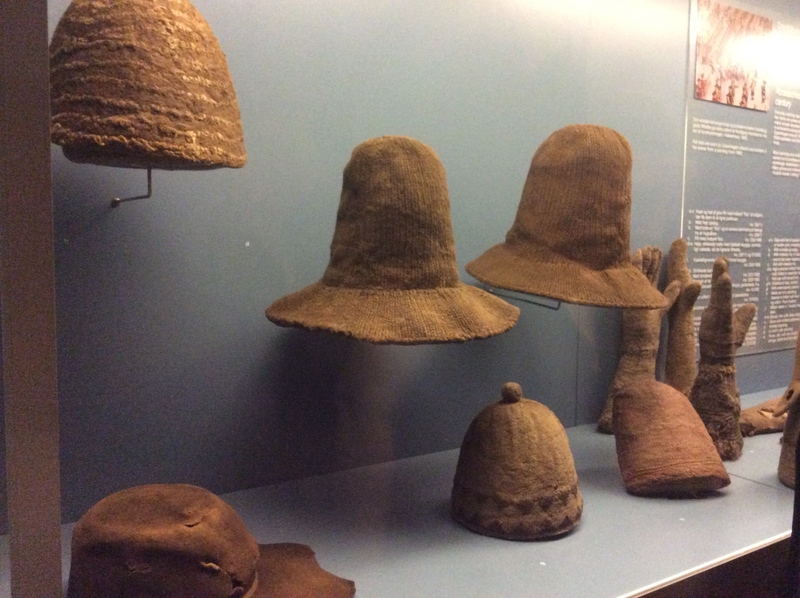 Below, you can see two examples from the exhibition; a collection of tall knitted hats that were in fashion in Scandinavia in the early 17th-century, and a printed textile from the same period. These examples were very interesting from the point of view of materiality, since some of them imitated more expensive materials. 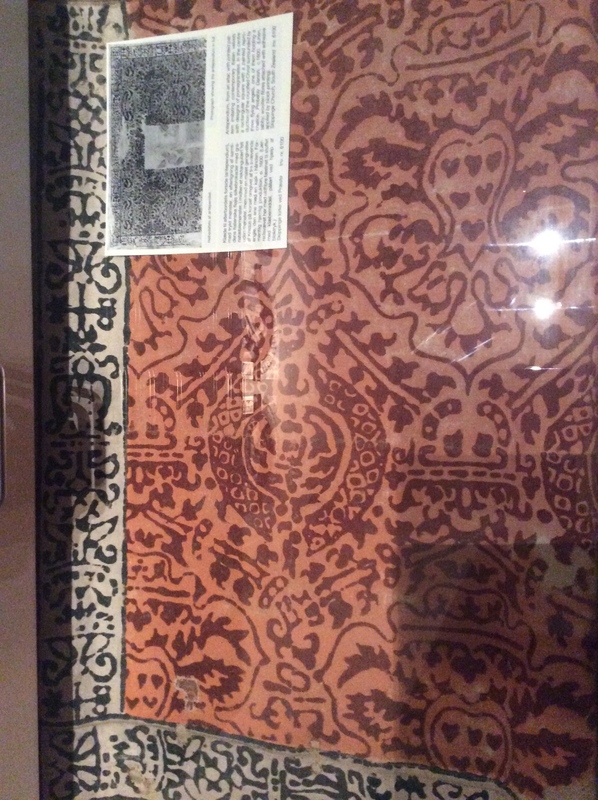 The hat on the far left is made in imitation of fur, and the texilte on the right, found in one of the drawers of the exhibition room, is printed to imitate a precious Italian Renaissance velvet fabric. 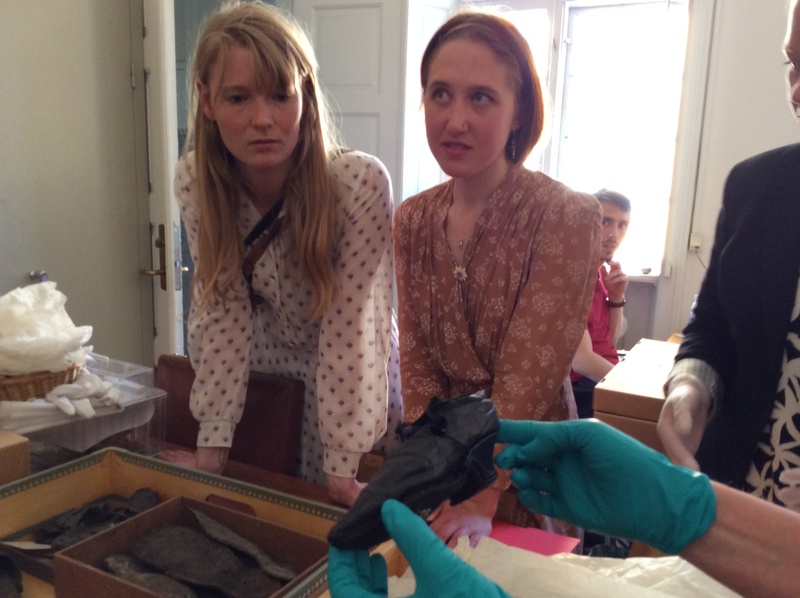 We also had the unique opportunity to see ‘behind the scenes’ of the National Museum. 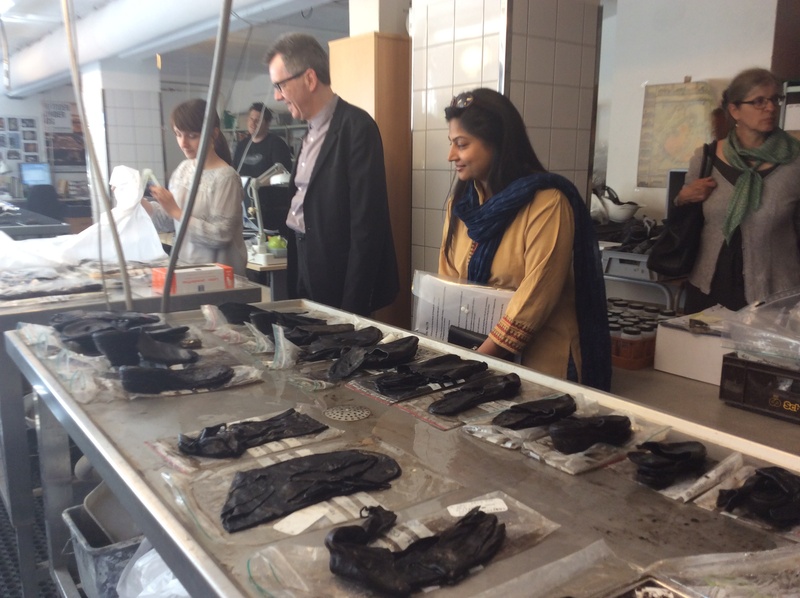 As the conservator Maj Ringaard unwrapped the small packages in the museum’s storage room, one after another, we were presented with an incredible collection of 17th-century objects that have been excavated in Copenhagen, including beautifully conserved shoes and leather gloves. 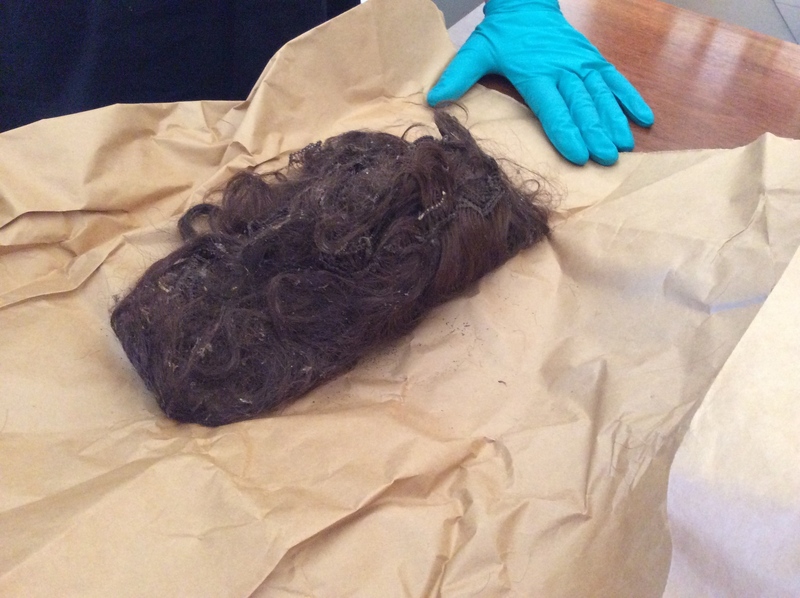 Some of the most amazing items were the 17th-century wigs that have survived up until our day. I think the archaeologists and conservators have done a pretty good job, first to identify them in the wet moat, then to prepare and repair them for the exhibition! 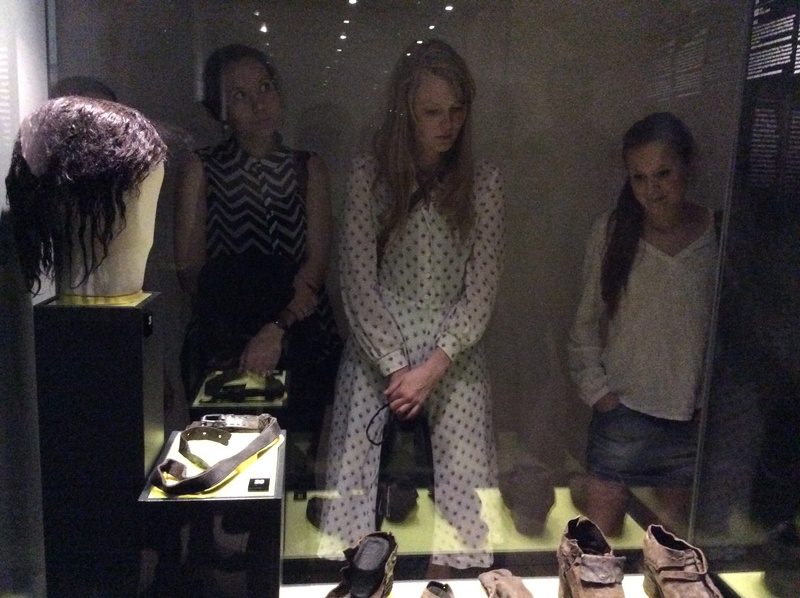 On the right, you can see one of the wigs presented at the ‘The Past Beneath Us’ exhibition at the Museum of Copenhagen. 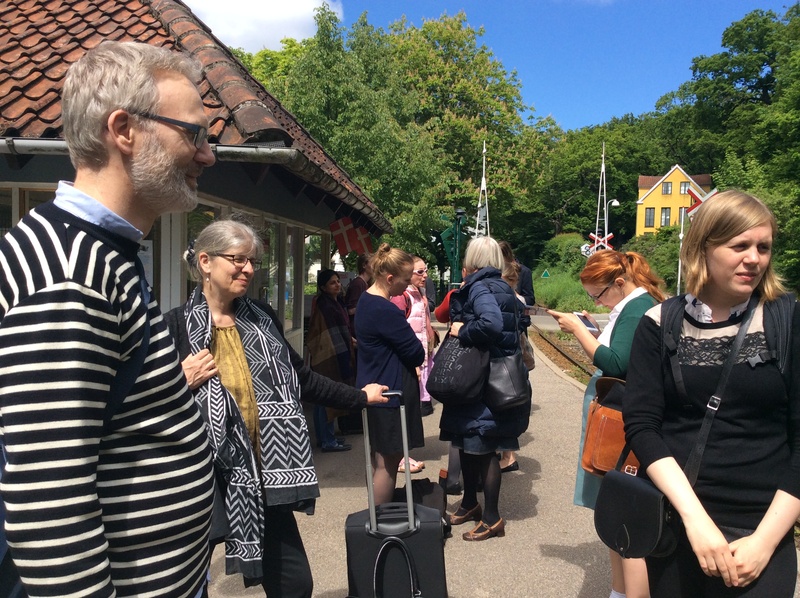 From the National Museum storage spaces, we continued to the Museum of Copenhagen, the home institution of Vivi Lena, who works as an archaeologist and a curator at the museum. 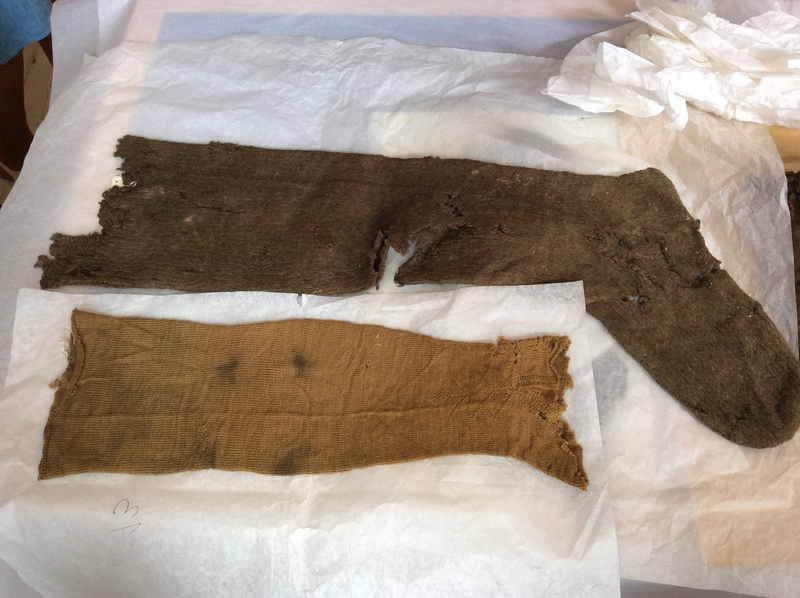 Having looked at the exhibition, we were taken downstairs to the basement to see what historical clothing articles look like when they are just excavated. 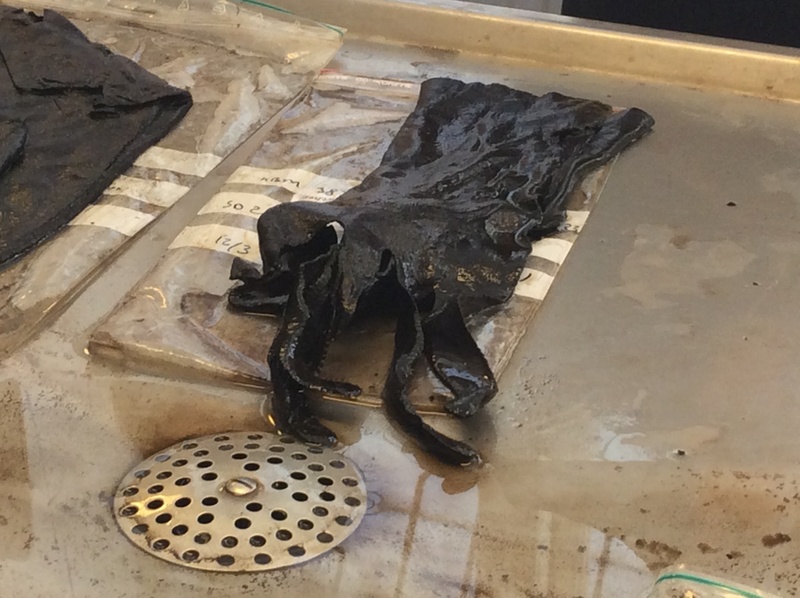 The archaeologists working here told us that all items need to be kept wet and cold -the same condition in which they were found- while they are prepared for study and storage, until they are moved to large freezers to wait for conservation. 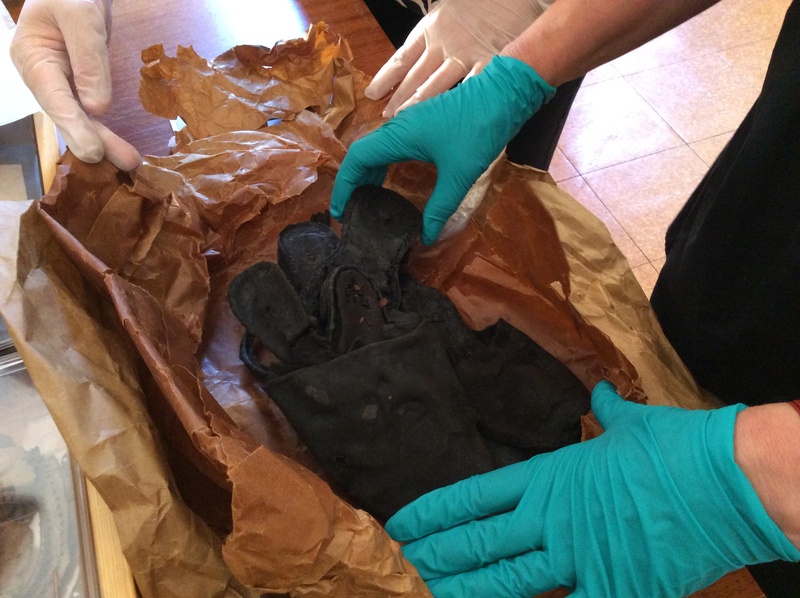 Just imagine what these leather shoes, gloves, purses, scarfs, sleeves and knitted hats may have looked like when they were used the last time in the 17th-century! 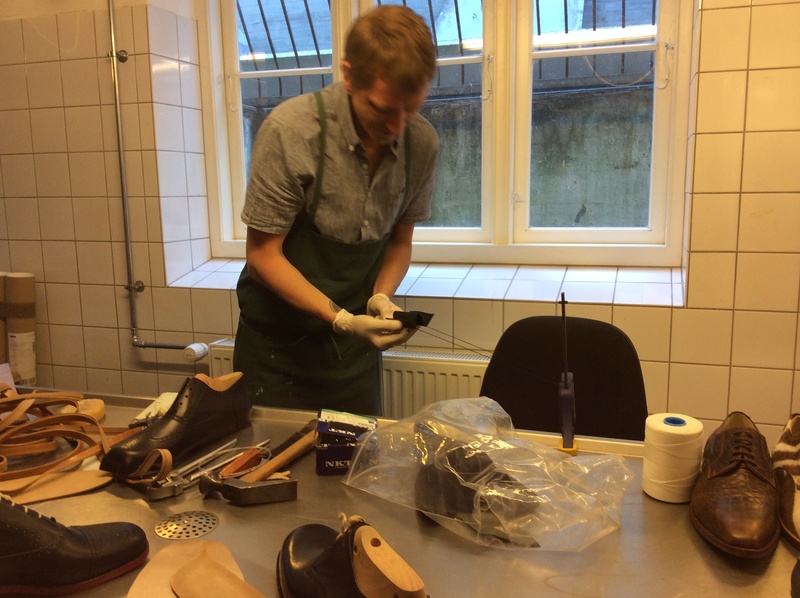 Since the collection includes a lot shoes, we had invited a shoemaker to show us how shoes were traditionally made, how long time it took to construct a pair of such shoes, and what stages were involved in their production. 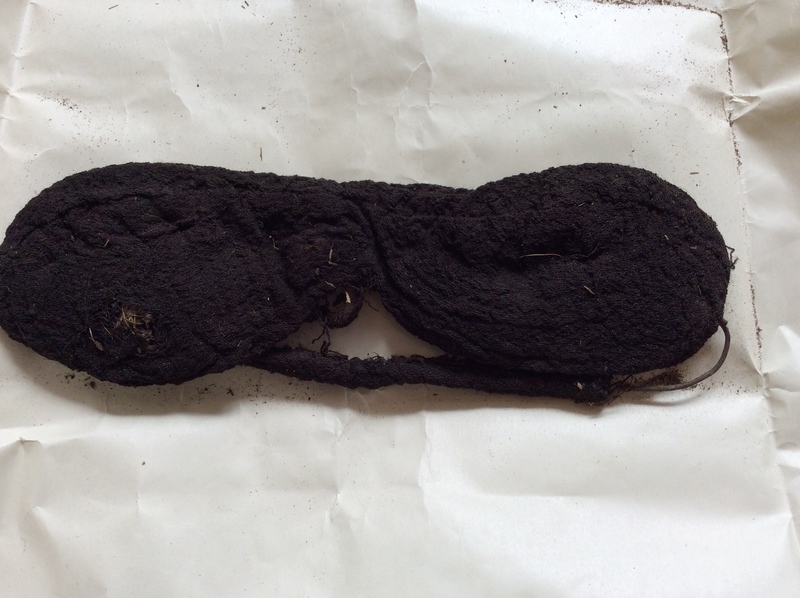 Here Kenneth Elsgaard is reconstructing a shoe and showing how a tarred and waxed thread of flax is prepared for sewing -with pigs bristles. 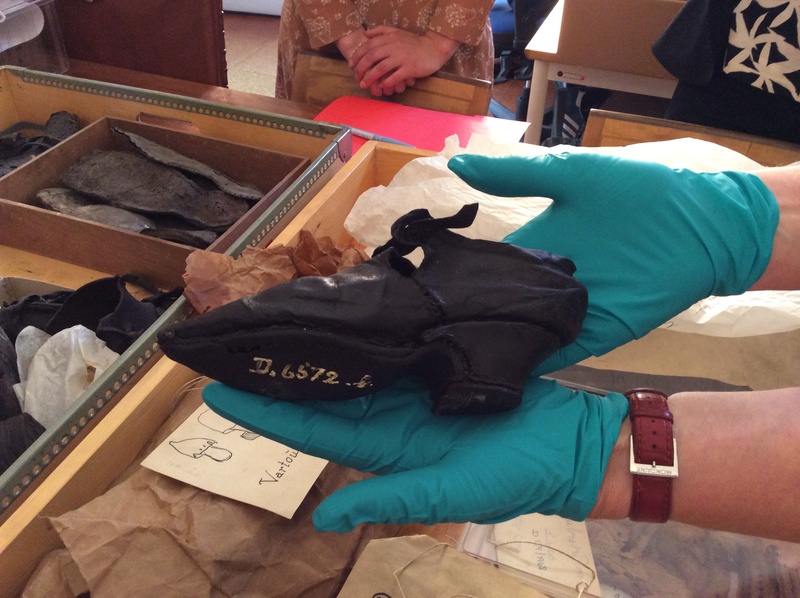 He had been so inspired by 17th-century French fashion for shoes that he had also prepared a shoe with a red heel! 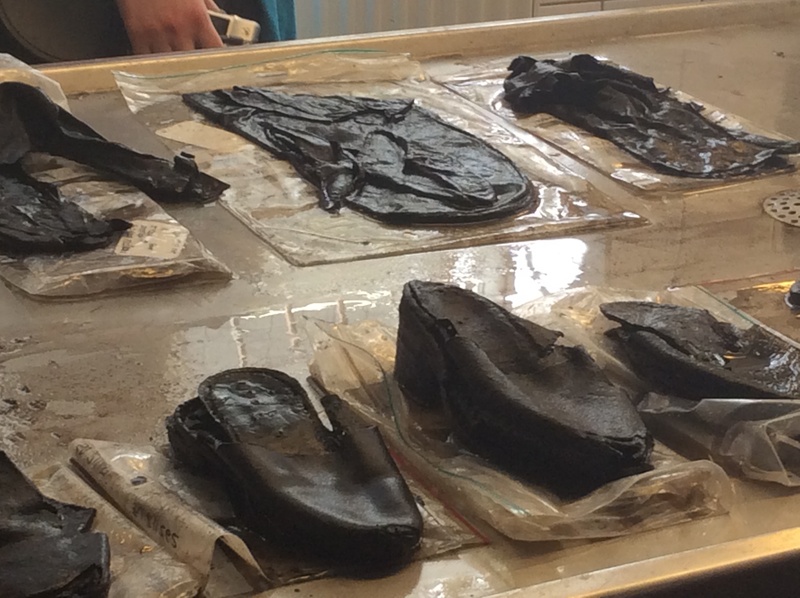 It was nice to see that, as we discovered during the presentation, the tools for making shoes had not really changed that much. 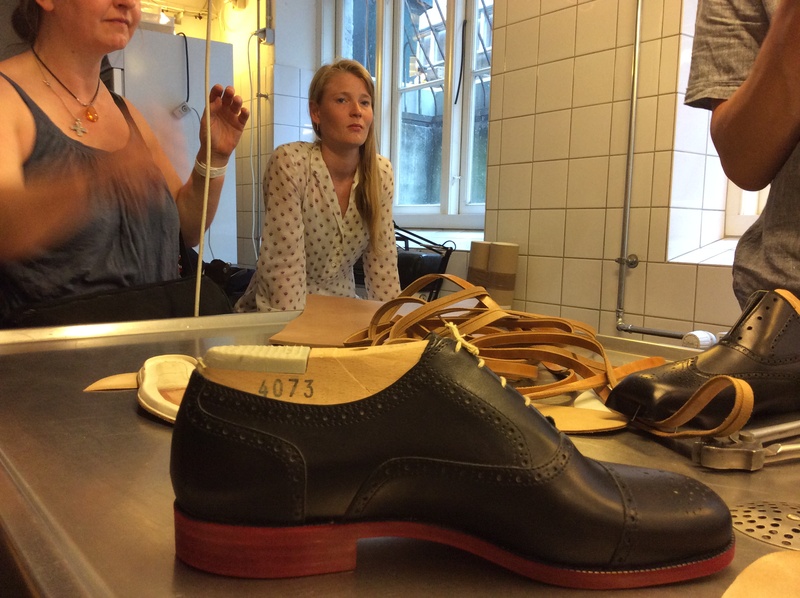 But the process of making shoes in the traditional way was very time-consuming; according to the shoemaker, a pair of good quality shoes would take about three weeks to make. 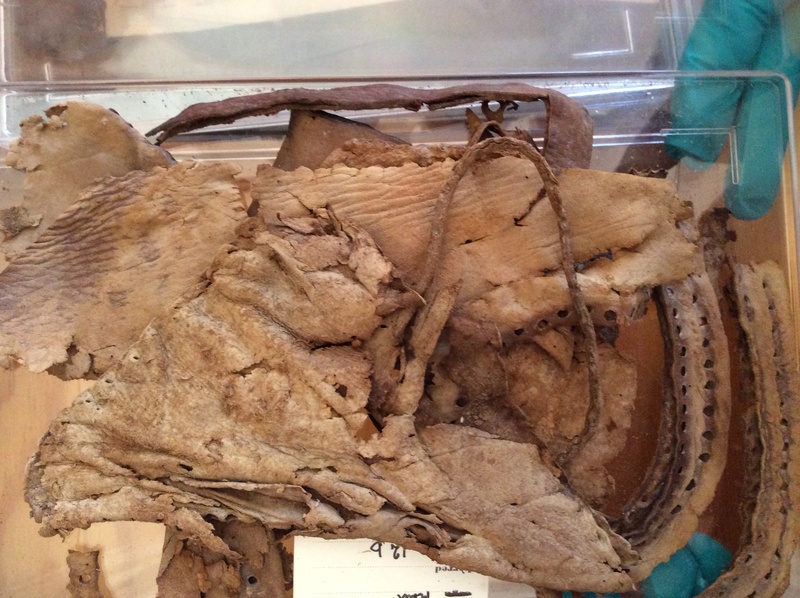 This would not have been an issue in the past when the worth of the shoe lied primarily in its material, but in today’s environment it means that it is practically impossible for any shoemaker to live on hand-made shoes. 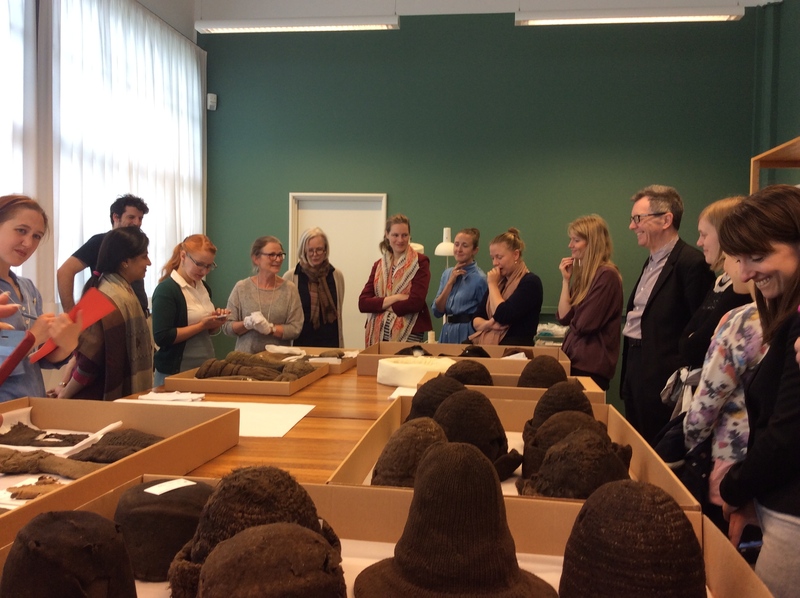 The next day was spent at Brede, in the conservation department of the National Museum. 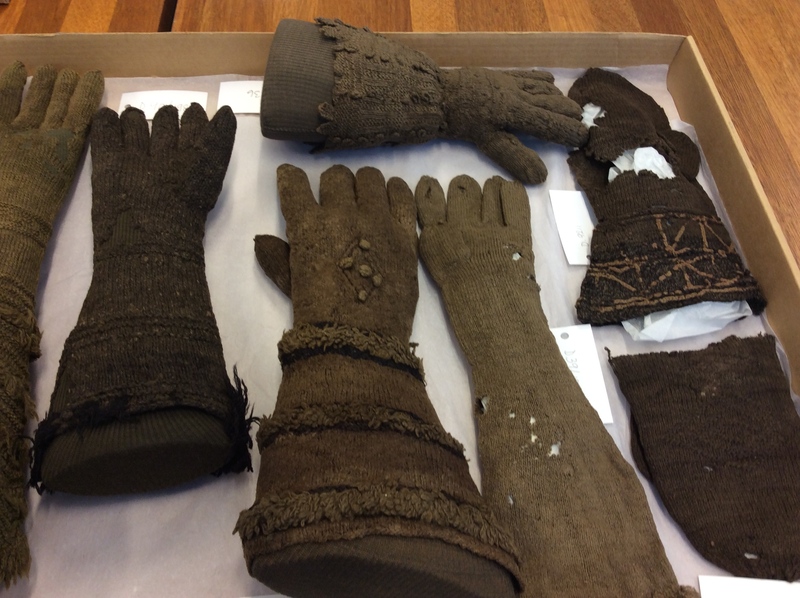 Look at the wonderful knitted items that were conserved there! 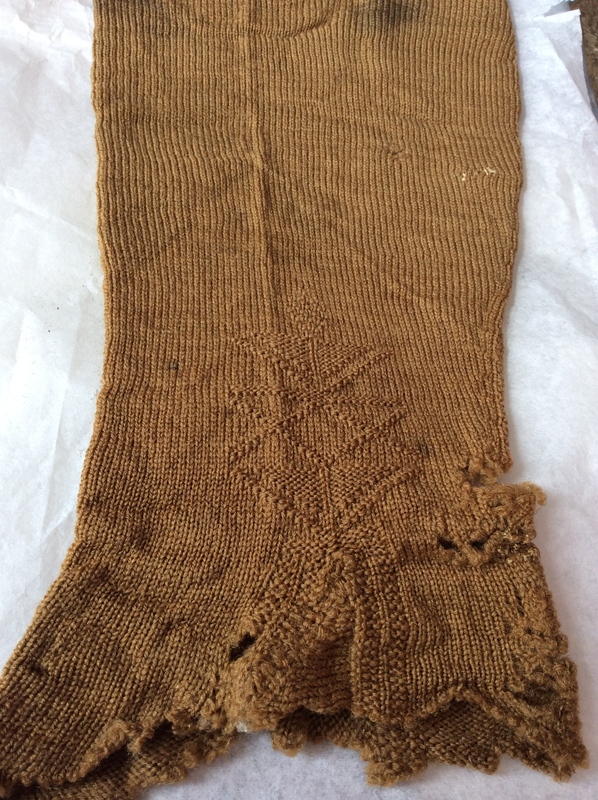 The collections included many knitted stockings from the 17th-century. Some of them were more robust and made for warmth. The more precious ones were made from silk and included beautiful, decorative details. 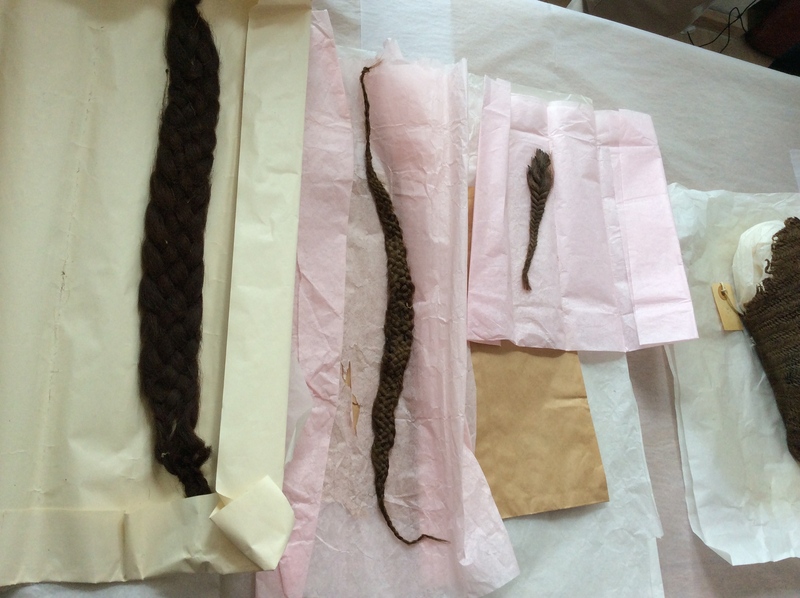 We also discovered some more hair accessories, such as braids made of human hair, and hair padding that could be used for lifting the hair. How were the braids used is not certain. Some of them, like the one in the middle, look like they might have been used as jewellery, or even as parts of a belt. 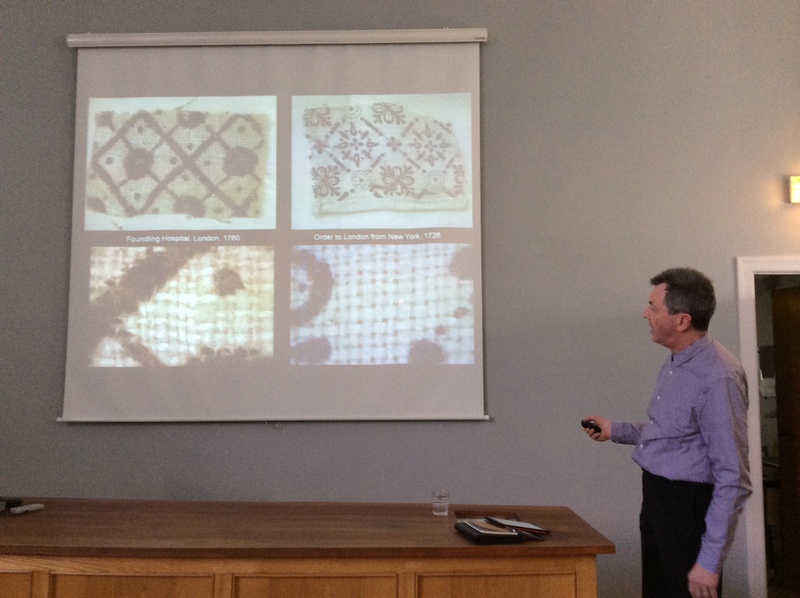 We ended the workshop with John Styles brilliant talk, titled ‘What was cotton in eighteenth-century Britain?’ He took us through a technical analysis of some of his textile samples, and talked about why Europeans found it so difficult to make cotton fabrics in the 18th-century. 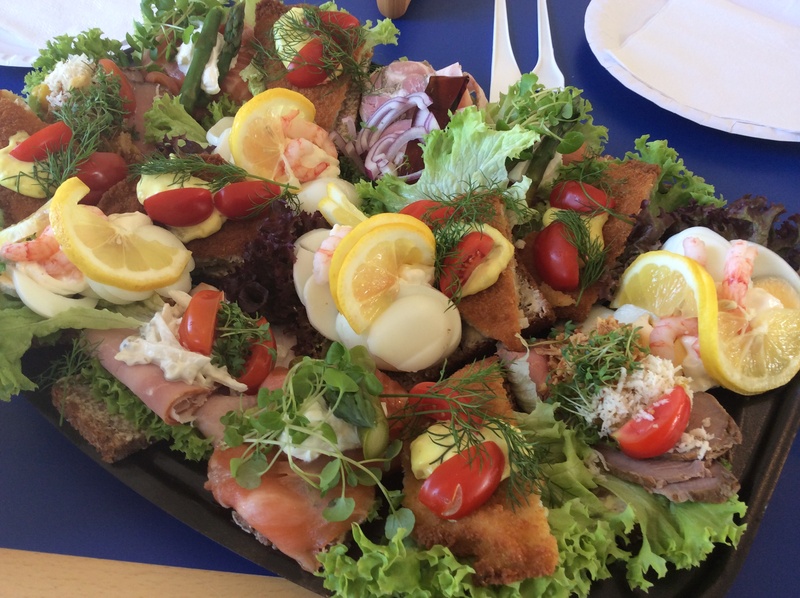 At the end of the two full days, having looked at hundreds of objects and raised a number of issues to do with materials, techniques and museum display, we sat down for a glass of wine and some smørrebrød, and discussed with Kirsten Toftegaard, the head curator of the Fashion and Textile department of the Danish Designmuseum, how we should define fashion. We all left thinking not just how differently archaeologists, economic historians and art historians sometimes migth use the terms of dress, fashion, costume and clothing, but also how the new answers that we generate in the meetings and at the Centre for Textile Research, using cross-disciplinary methods, generate new problems for historical research. 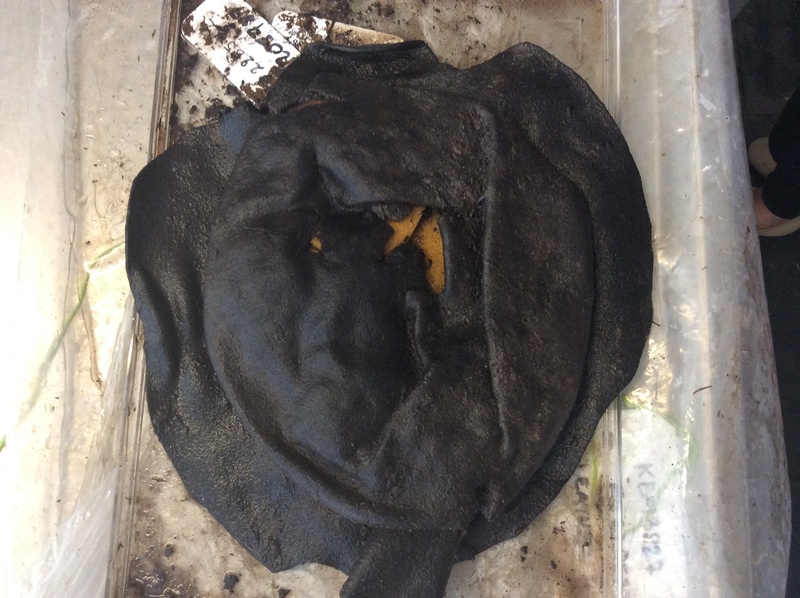 This is what makes research so exciting!